“Today, we mark a milestone in our country’s history, and remember the thousands of Canadians who gave their lives at Vimy Ridge. 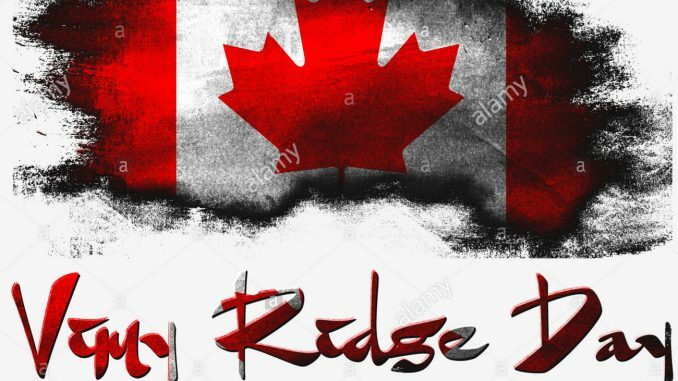 “The Battle of Vimy Ridge was a momentous victory and a turning point for Canada, when the four divisions of the Canadian Corps fought together for the first time. “On Easter Monday, 1917, soldiers from all across Canada – Francophones, Anglophones, new Canadians, and Indigenous peoples – fought through snow, sleet, and withering machine gun fire. They broke through an impregnable fortress, seized the ridge, and achieved one of the Great War’s most decisive victories. “Some say Canada was born that day, through great sacrifice and loss. Nearly 3,600 Canadians lost their lives and over 7,000 more were wounded. The Battle of Vimy Ridge remains one of the bloodiest battles in Canada’s history. “We owe an immense debt of gratitude to those who fought at Vimy Ridge, as we do to all Canadians in uniform, past and present. Their service and sacrifice are the reason we – and so many people around the world – enjoy peace and freedom today.